MONTREAL -- A group of investors trying to bring Major League Baseball back to Montreal released a market study Thursday concluding the project would be viable and would generate strong interest among fans and the city's business community. 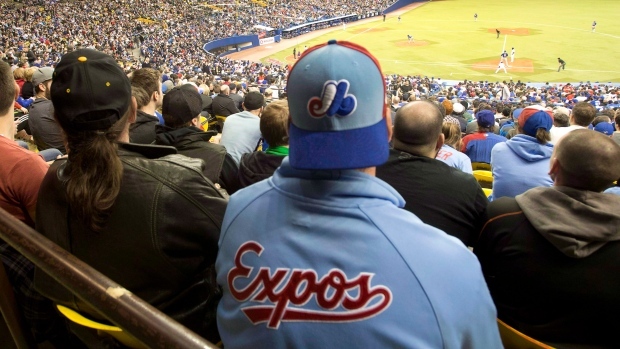 "Montreal has the market characteristics to support an MLB team effectively over the long term," the group led by Stephen Bronfman, executive chairman of Claridge Inc., said in a statement. Its television market would be in the top half of existing MLB TV markets, ranking 12th out of 27. The study also places Montreal as the strongest among cities considered potential expansion sites, with the largest population, TV market and corporate base and the second-largest median household income. It does not name the other cities, but in the past Charlotte, N.C., Portland, Ore., Las Vegas, San Antonio and Monterrey, Mexico have been identified as contenders. Montreal would have the 15th largest metropolitan population among MLB cities, the 18th highest median household income and the 19th most corporations with annual sales of at least $5 million and 25 or more employees. Interviews with 13 Montreal executives revealed that they would all purchase season's tickets and three-quarters of them would buy premium seating. About half would buy a luxury suite. They said a downtown location for a new stadium would be very important and access by public transit essential. They prefer a ballpark with 35,000 seats or less, and "it should have a social atmosphere, a design that fits the local architectural style and be a year-round destination," the group's statement says. Bronfman told The Canadian Press the findings have been shared with Major League Baseball. "We have the right figures to build our business plan even better," he said. For focus groups of fans, a downtown stadium was crucial, and 80 per cent of the people who took part said they would walk, bike or take transit to games. The study found a seating capacity of 32,000 would be the preferred size of stadium, with an average ticket price of $41. The study results were published the same week the Tampa Bay Rays indicated their project for a new downtown stadium has been abandoned because of a lack of financing and political support. MLB commissioner Rob Manfred has said he would like to expand the league to 32 teams from the current 30, but first the situations in Tampa and Oakland need to be resolved. With the demise of the project for a new stadium in Tampa, a move is not out of the question for the Rays, who have ranked last or second-last in attendance every year since 2011. "We don't really know what is happening in Tampa, but it clearly leads one to believe that things could move faster than we thought," Bronfman said. "That's good. But we are also ready for an expansion project. We are ready for anything." The Montreal study was done by Conventions, Sports & Leisure International. In addition to the interviews with executives and the focus groups, an online survey of 13,900 people was conducted. The investors group includes Couche-Tard founder Alain Bouchard, Mitch Garber, chairman of the board of Cirque du Soleil, Eric Boyko, CEO of Stingray Digital Group Inc., and Stephane Cretier, CEO of Garda World. 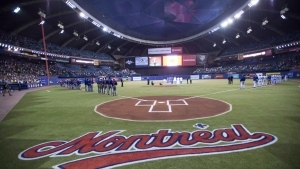 "While the process remains complex, the Montreal Group remains firmly committed to bringing back an MLB franchise to Montreal," their statement says.